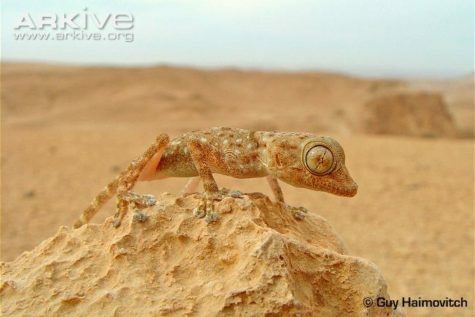 The Common Fan Fingered Gecko is an 18 cm (6.5 inches) lizard, native to the deserts of the Middle East. Its name comes from its uniquely shaped toes which aren’t adjacent to each other like in humans, but its five toes are equidistantly spread around the diameter of the hand. 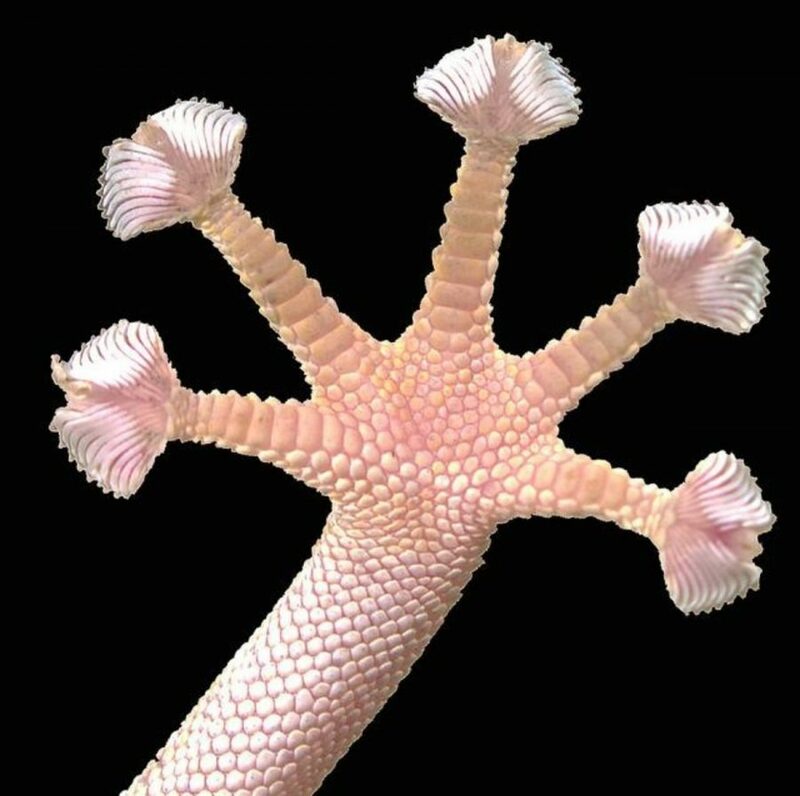 The Gecko’s feet, along with the fanned-out toes are equipped with toe pads. These toe pads ubiquitous throughout the Gecko family are perfectly adapted to life in the trees, in the desert or on the ground. Their toe pads are extremely effective at supporting the gecko, in some species a gecko’s specialized toe scales, scansors which can support the weight of nearly two humans before detaching. Hair like structures, called setae, on the bottom of the salamander’s feet, split into millions of strong hairs called septulae, which produced van der waal interactions between the molecules of the lizard and the molecules of the thing the lizard is clinging to. Each individual interaction is weak, but the sum from all of the millions of tiny hairs causes a strong hold for the gecko. 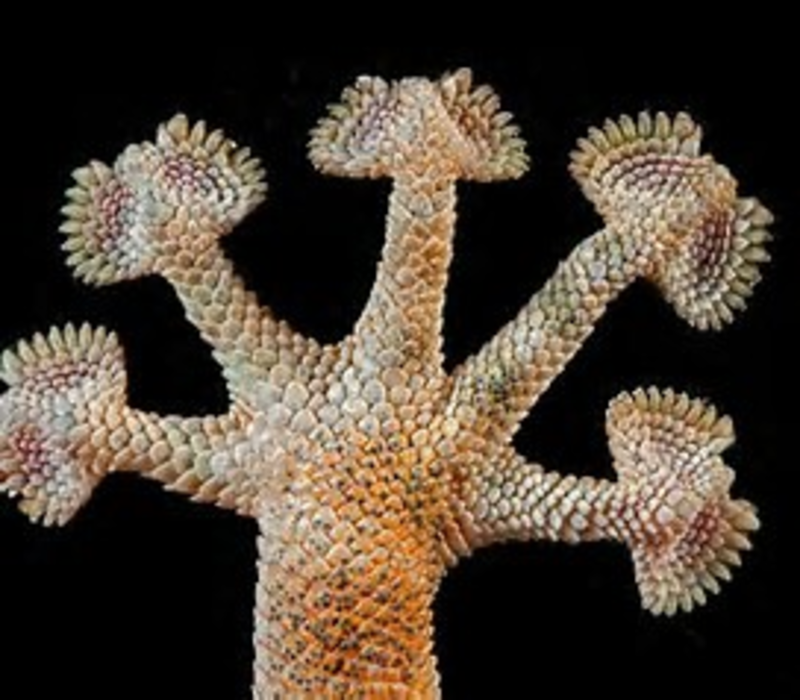 The Fan Fingered Gecko, is an expert at disguise as it is perfectly adapted to its environments. The Fan Fingered Gecko’s enormous eyes are due to its nocturnal behavior, usually only leaving its cave or its home in the sand during cooler hours of the day. It predominately preys on small bugs and arachnids, including scorpions. 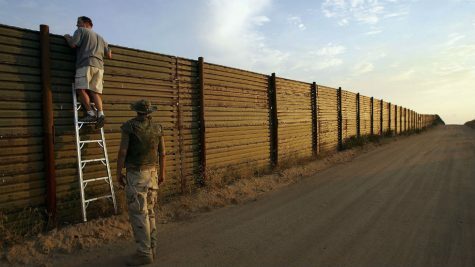 Remarkably, the Fan Fingered Gecko is relatively immune the Yellow Scorpion’s venom, able to survive the dosage equivalent to one hundred stings from a scorpion. The Gecko is listed on the IUCN as ‘least concern’ so these peculiar lizards are in little danger of human threat.